This bundle has everything you need to get your start on your web developer career. Arch Hosting Web Hosting is the web host of choice for web developers when they need to get their sites online with the assurance that all their designs will work as expected. This reliable web hosting service can get your site up and running in a snap. You can get a lifetime subscription to this powerful service for just $24.99 (approx. £18). Arch Hosting Web Hosting has everything you could possibly need to get your website up and running at its peak performance. This performance-oriented web host understands the importance of having no downtime and quick load times and will optimize your site with its lightning-fast network. You'll get 2GB of storage space and 500GB of bandwidth for your domain, which you'll get free for a full year. 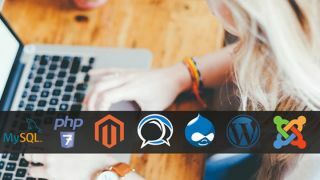 It's the perfect web hosting bundle for any web developer. You can get get a lifetime subscription to Arch Hosting Web Hosting plus one year of domain registry for just $24.99 (approx. £18). That's a saving of 95 per cent off the retail price for a deal that will get your site up and running, so grab this deal today!